1. A horizontal ledge on a wall (or other member or construction), marking a decrease in its thickness above; also called a watertable. 2. A bend in a pipe. 3. 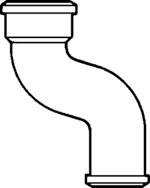 A change in the direction of a pipeline (other than 90°), e.g., by a combination of elbows or bends, which brings one section of the pipe out of line with but into a line parallel to another section. Only a prepetition debt owed by the creditor to the debtor can be setoff against a prepetition debt owed by the debtor to the creditor. An administrator's objection to a setoff by a shareholder must be sustained if the debtor's claim against the shareholder results from (a) a contribution of capital owing to the debtor or capital withdrawn from the debtor, or (b) shareholder misconduct constituting an abuse of the shareholder's rights or use of influence which caused damage to the company. 496) After a while, however, the bank declared a partial setoff of its $124,597. First, the Bankruptcy Code's automatic stay enjoins "the setoff of any debt owing to the debtor that arose before the commencement of the case under this title against any claim against the debtor. The issue, then, became whether the contractual discount constitutes a "payment made" on the plaintiff's behalf, and thus a collateral source subject to setoff. The concern is that where the fact-finder remains uninformed, or there is no collateral source setoff, a successful plaintiff acquires a windfall, being awarded monetary damages in excess of necessary and reasonable medical costs. This happens because, almost without exception, courts will setoff from the judgment against a defendant the amount of compensation the plaintiff has received from other joint defendants. Fortunately, the ruptured pipe was in a rural part of Harris County and only one person was in the area when the massive explosion (which could be seen from downtown Houston 30 miles away) was setoff. The court must permit setoff, based on the collateral source payment information that the plaintiff provides, in accordance with the laws of this state as of the effective date of the bill. The act denies an automatic stay, unless specified conditions are met, to the setoff of an income tax refund for a taxable period that ended before the order for relief against an income tax liability for a taxable period that also ended before the order for relief. Loeb's Citroen led by 13 seconds before the drivers setoff for the 18.